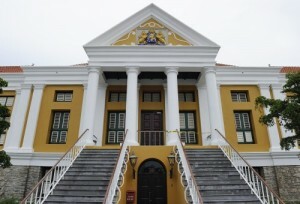 WILLEMSTAD - On Tuesday, June 13, 2017, the Court of Justice confirmed that there was mismanagement in Aqualectra and Refineria di Kòrsou (Curaçao Refinery RDK) between October 10, 2010, and September 29, 2012. At Aqualectra, the Court found that the general meeting of shareholders (government), the supervisory board and, to a certain extent, the management were responsible for various aspects of mismanagement. At RdK, the Court made similar findings with regard to the Supervisory Board and the Management. The other complaints addressed to these companies have been rejected. Against Curoil, all complaints have been rejected. (v) Aqualectra entered into other obligations in a careless manner. (v) RdK made huge expenses in connection with the BOO plant. These expenses have been lost. As a result, it has become very questionable whether RdK will be able to operate the refinery independently after 2019, if necessary. The Court has refrained from identifying those who are responsible for the mismanagement. The Court also refused to take steps to recover the financial losses from Aqualectra and RdK from the liable persons. Aqualectra and RdK can try to do so without going to Court. They can also decide to refrain from this.